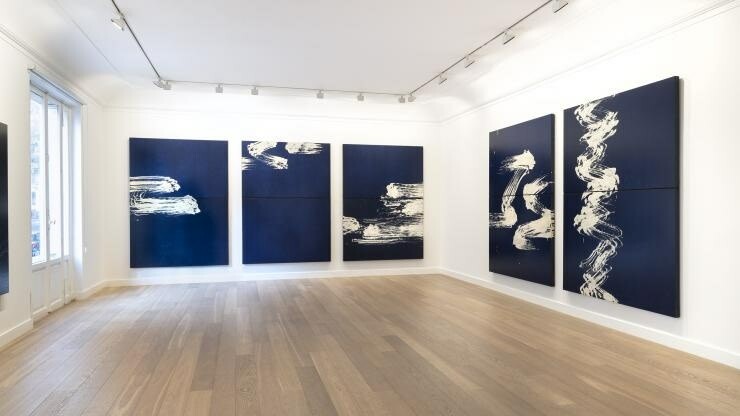 On show until 19 January 2019 in Paris, Fabienne Verdier’s exhibition Ainsi la nuit at the Galerie Lelong is presenting two new series of works. ‘’Inspired by a young quartet in the Visitation Chapel (Aix-en-Provence), this series is the fruit of two years of work during which time the abstract structures of music have gradually enriched the pictorial experience’’, Fabienne Verdier explains. The Granet museum in Aix en Provence is preparing a retrospective for summer 2019.